I decided to change the port on my Zen node today. 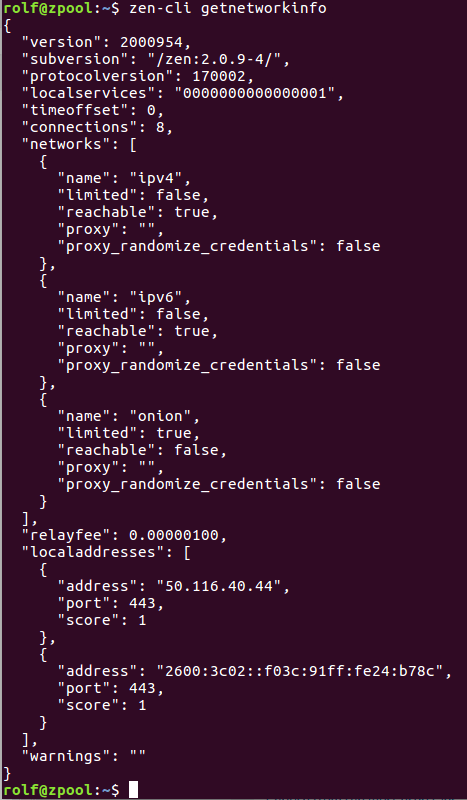 I wanted to run some nodes on port 443, 80, 53, and other common ports so they can’t be blocked by firewalls. Those ports are usually open for users. Firewalls are used to seeing encrypted traffic over port 443, so that is a likely port to use. It may make a difference for a person to be able to use their Zen wallet or not in some situations. Unfortunately, a user level process can’t typically access ports less than 1000, unless given special permission by root. 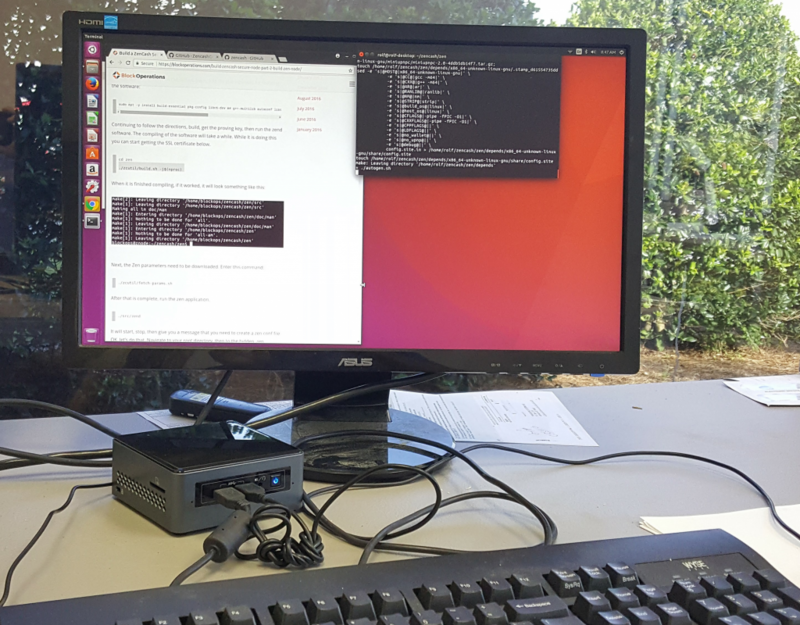 Fortunately, we have root access on our linux server! Then create a zen start script. You can call it zennodestart.sh or anything else you want. At this point you have changed zend to listen on port 443, created a script to automatically start it, made sure the SSL cert gets renewed, and checked that the zend process is listening on port 443, and made sure the firewall is open on that port. If you run your node for a while, you will see more and more nodes start to connect to it. This should work for any type of cryptocurrency node, by the way. The problem with most cryptocurrencies is the data is not encrypted. 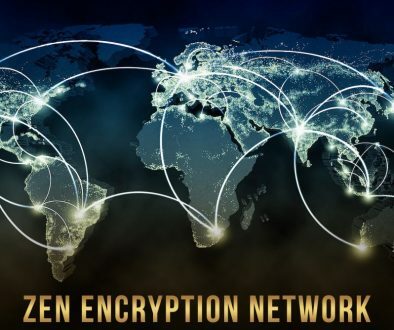 It’s worth doing this for Zen because there will be an upgrade soon to encrypt all traffic between wallets and nodes, with Secure Node using TLS certificates. Hi Blockops, there is an error in the name of the script you created (zennodestart.sh) and permisions in visudo (startfullzennode.sh). They are diferent. Thanks! just fixed it in the post. Hi Rolf, I have been following this project for awhile and I really like the way how the Zen team been developing the system. 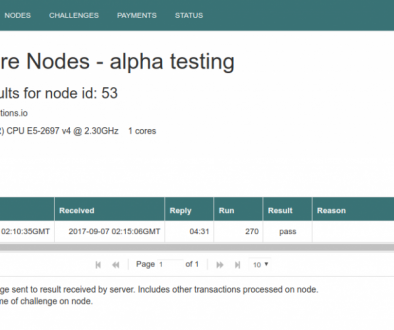 Is the secure node ready to be set up and functional yet? I’m about to set up 2,3 secure nodes as little side project following your tutorial soon. Hopefully they will both be done and deployed in the next month. So it’s good to get this experience now to be ready to set everything up in the next month.